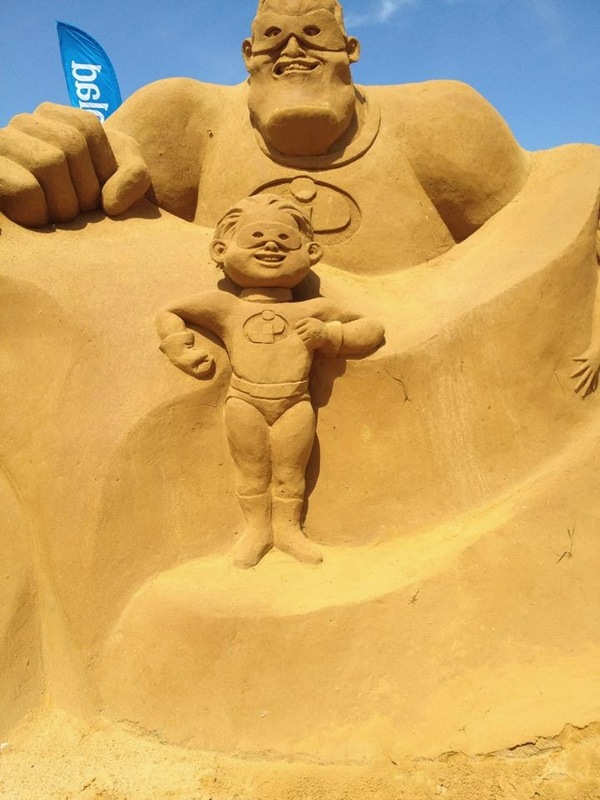 This week I went to the beach. 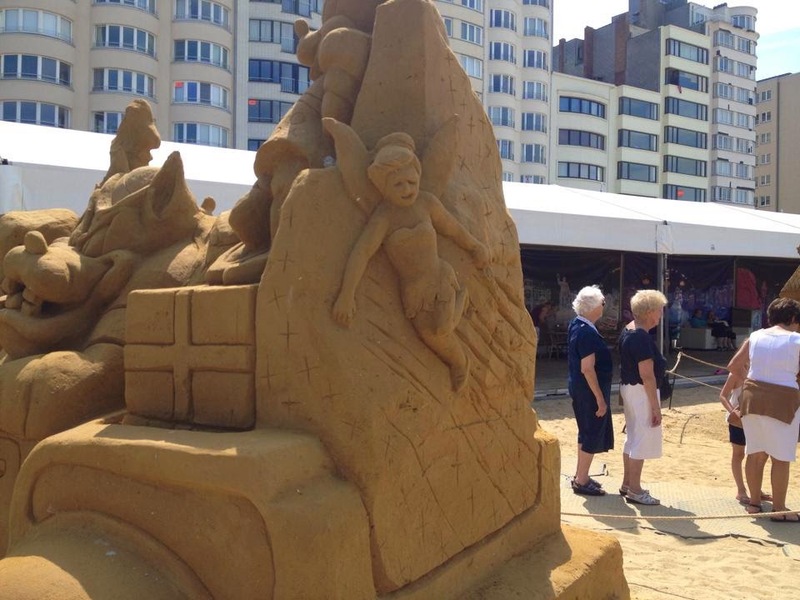 We had an apartment at Middelkerke but we decided to visit Ostend for one day. 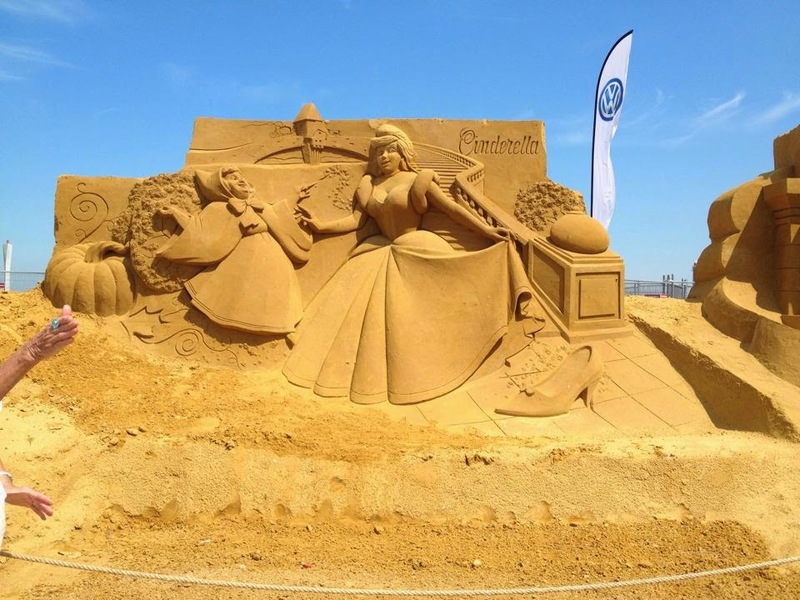 There we first went to Qbeach-house, it's a part of the beach were you can listen to the music that's playing on the radio at the same time, it's live. 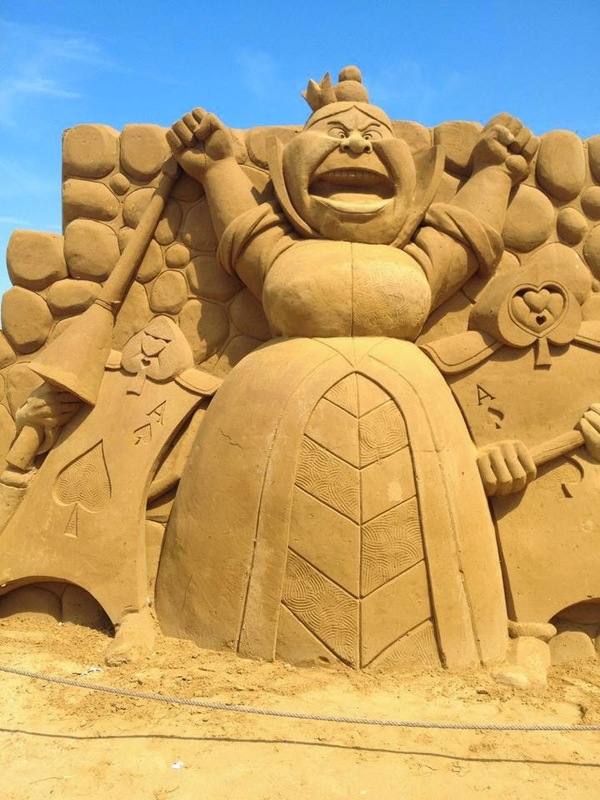 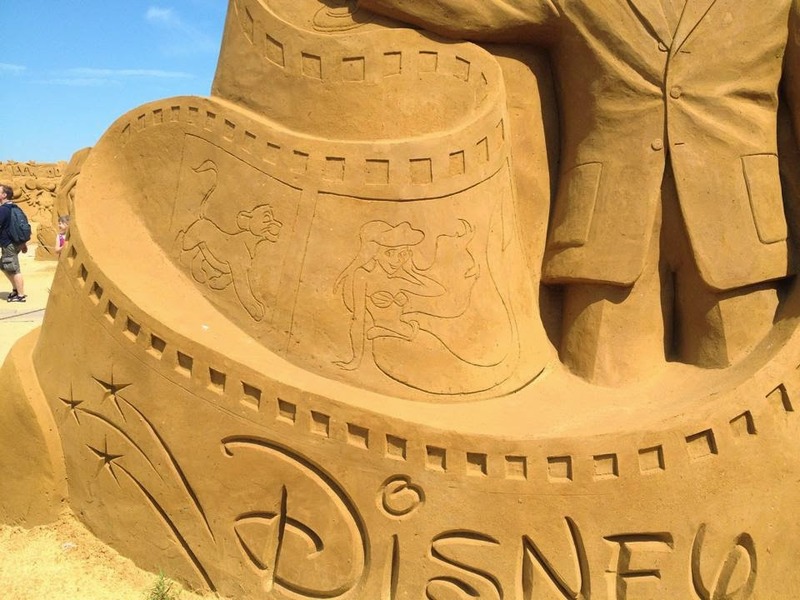 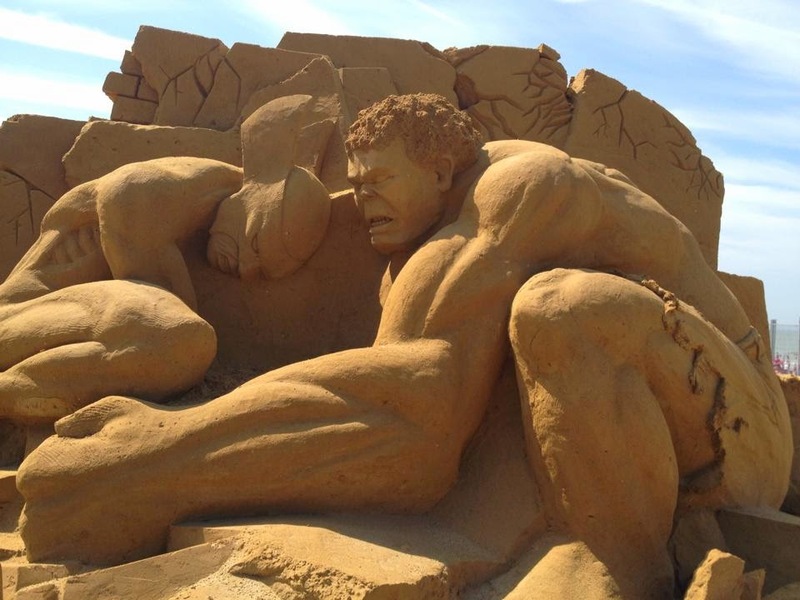 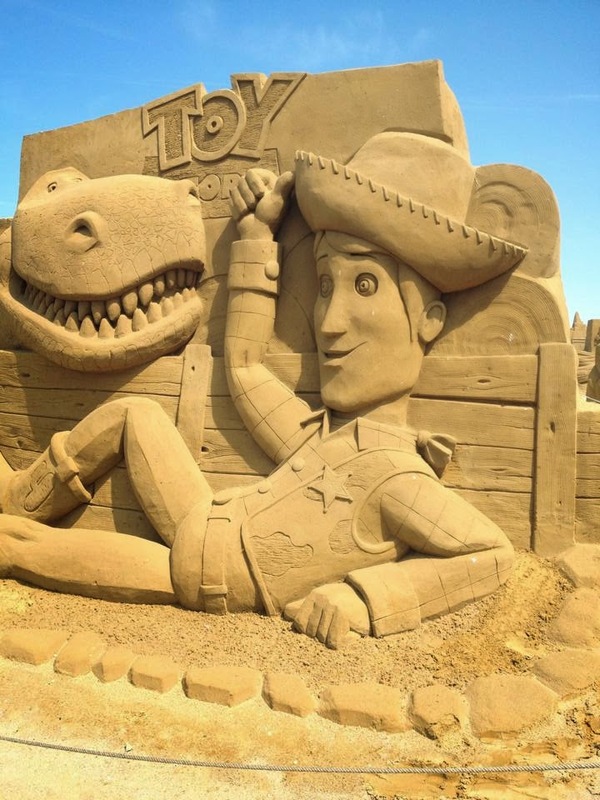 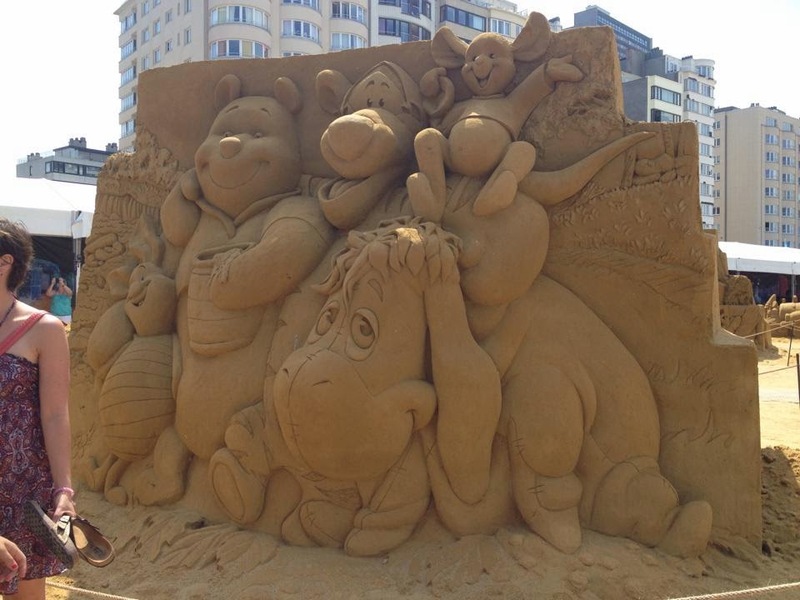 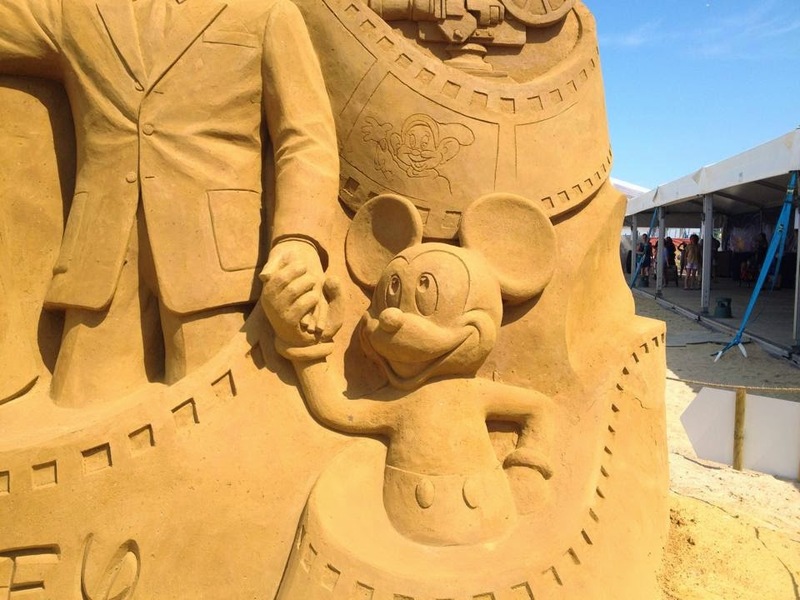 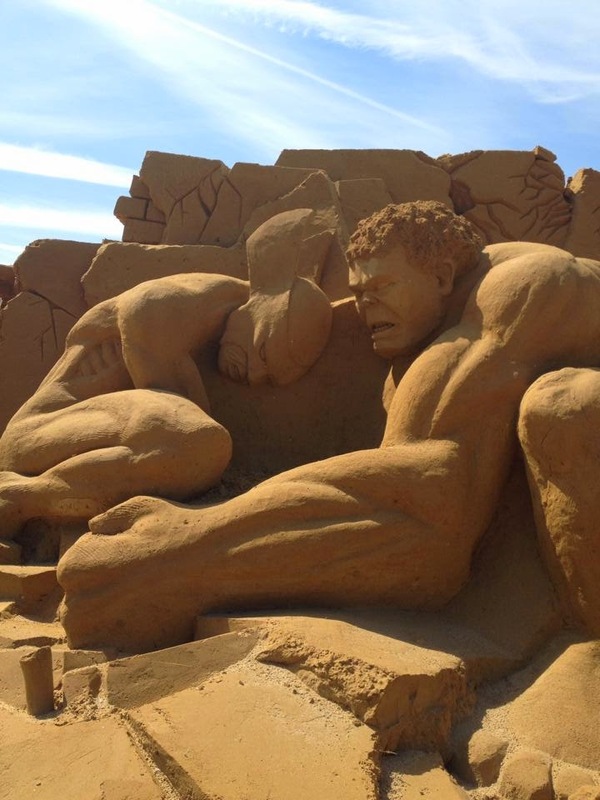 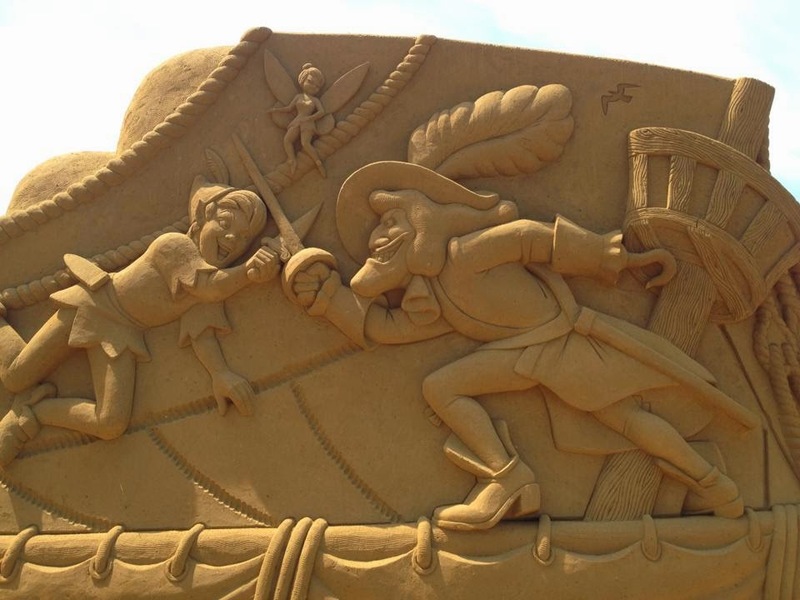 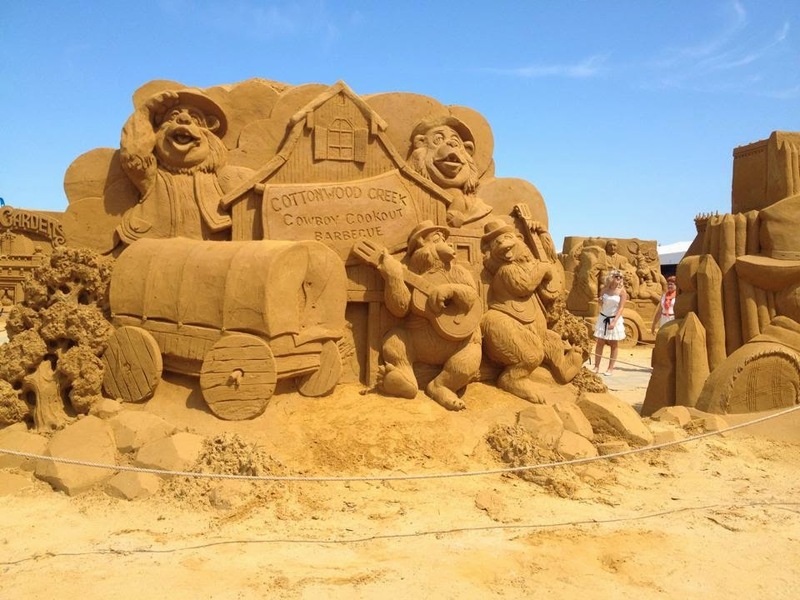 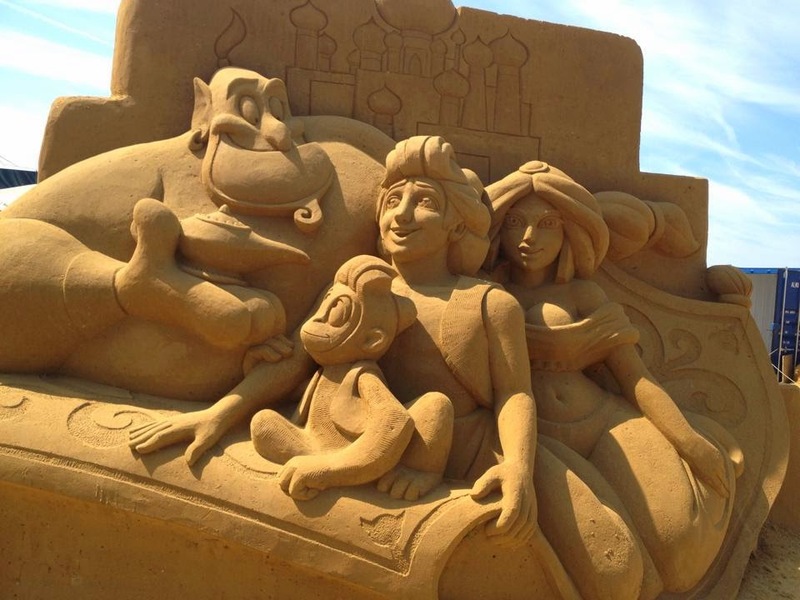 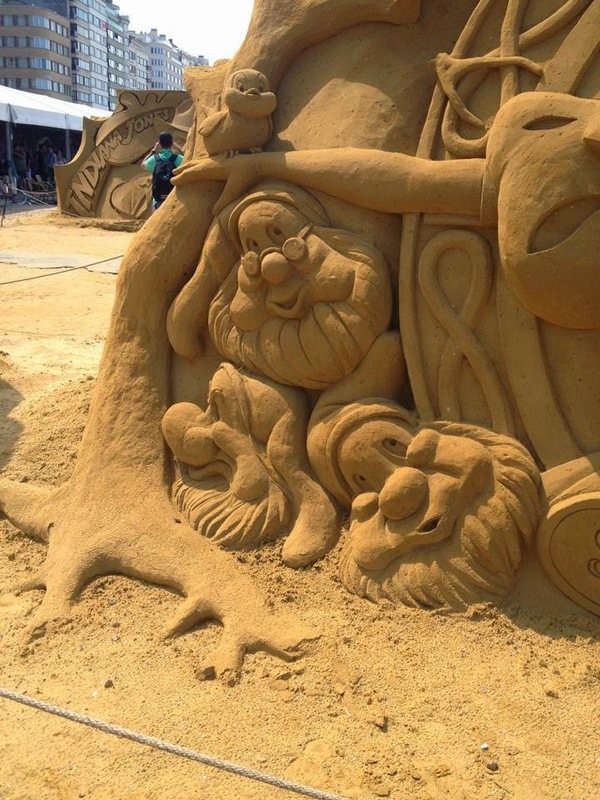 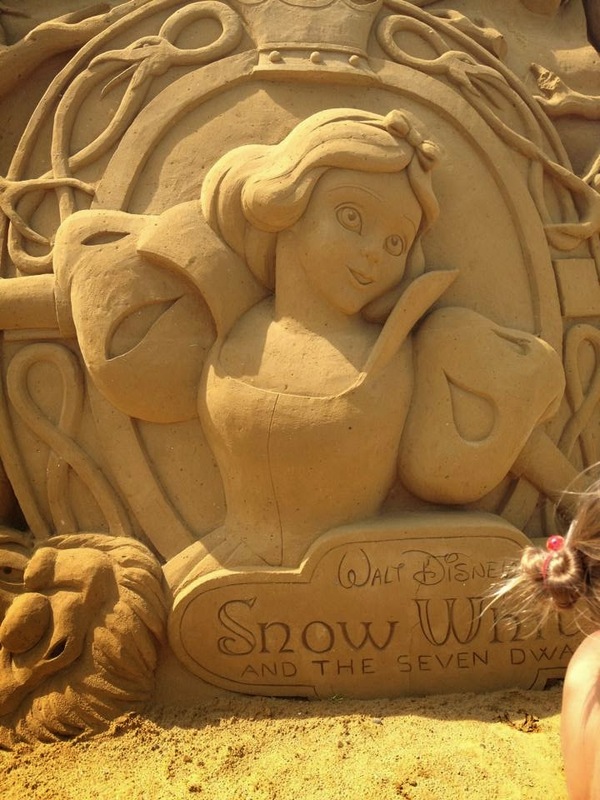 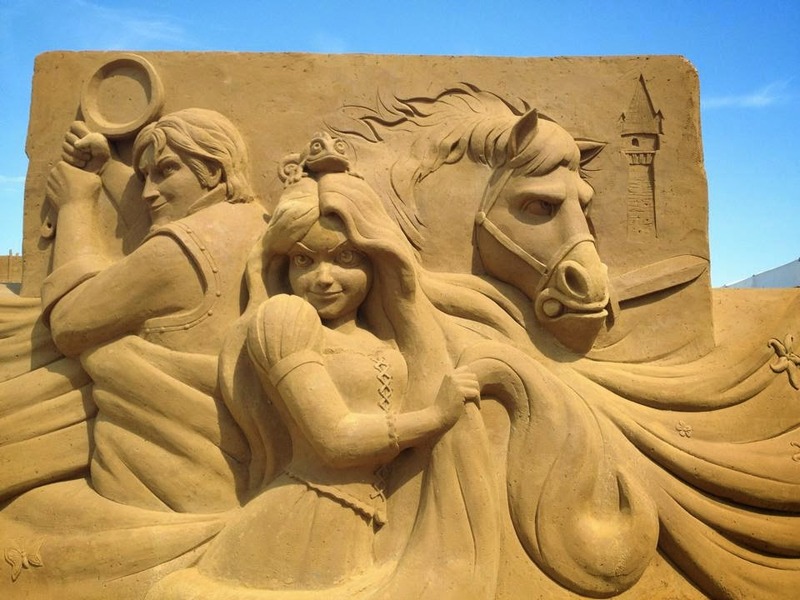 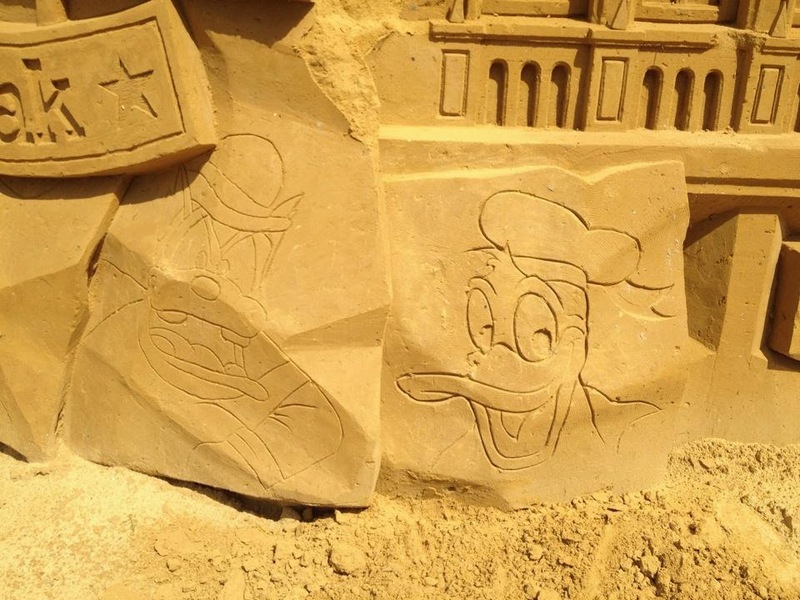 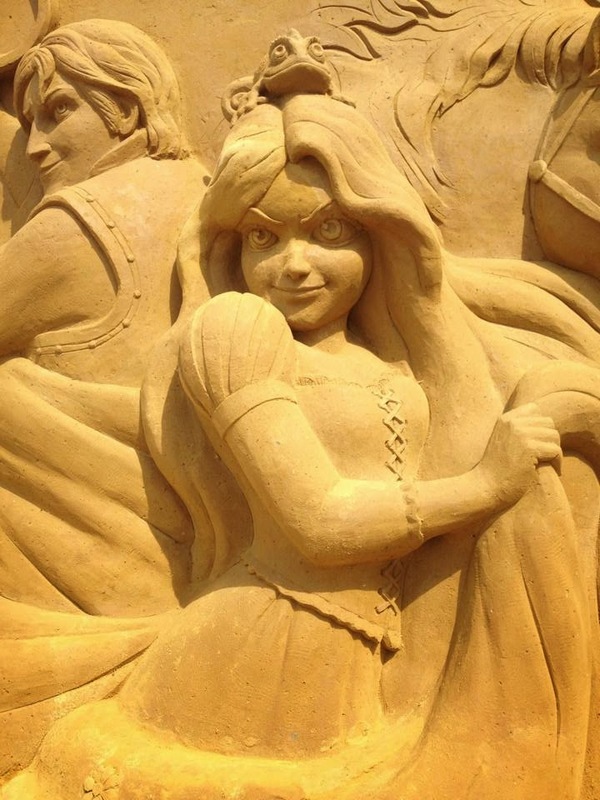 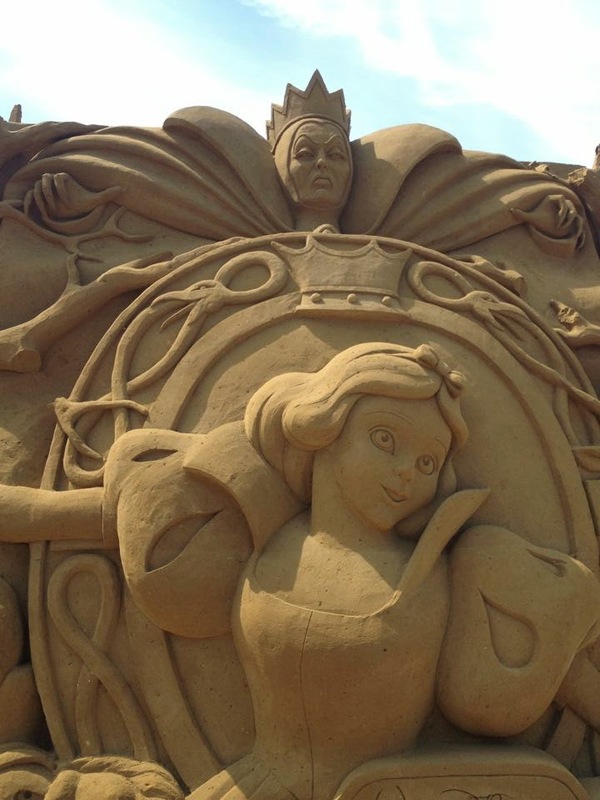 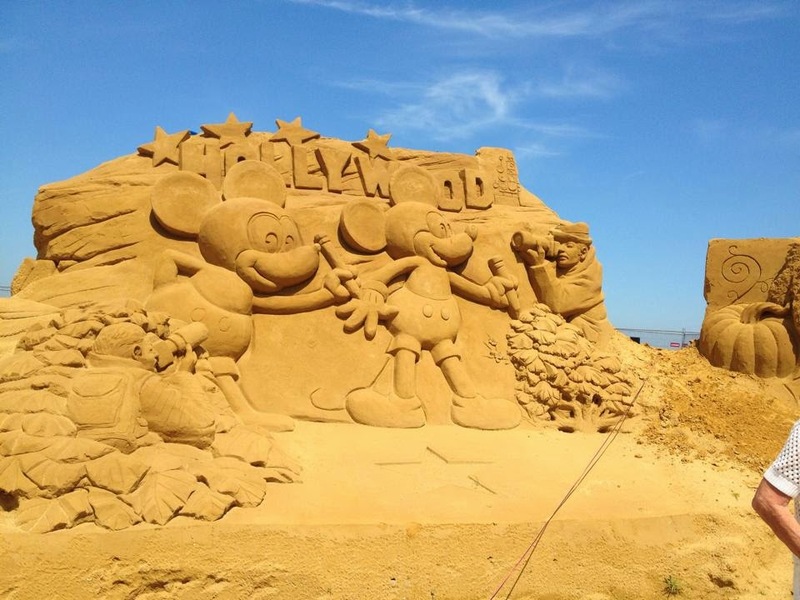 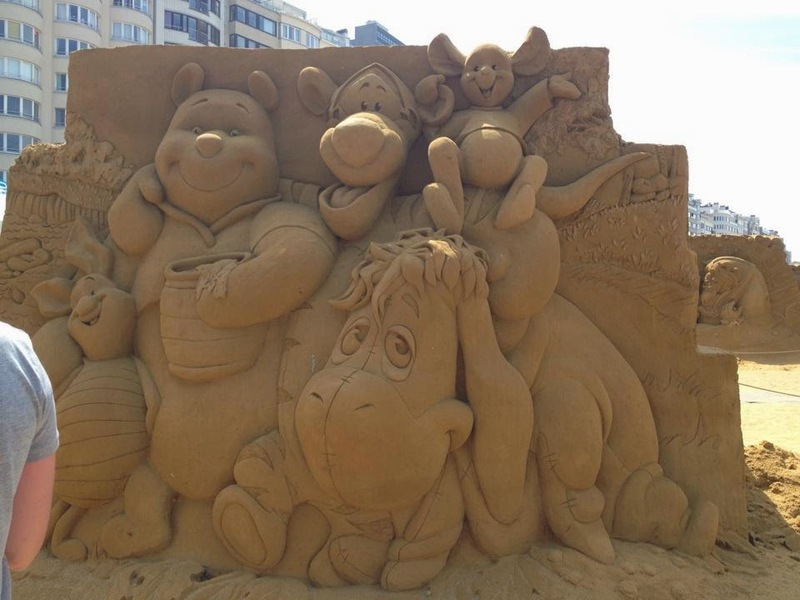 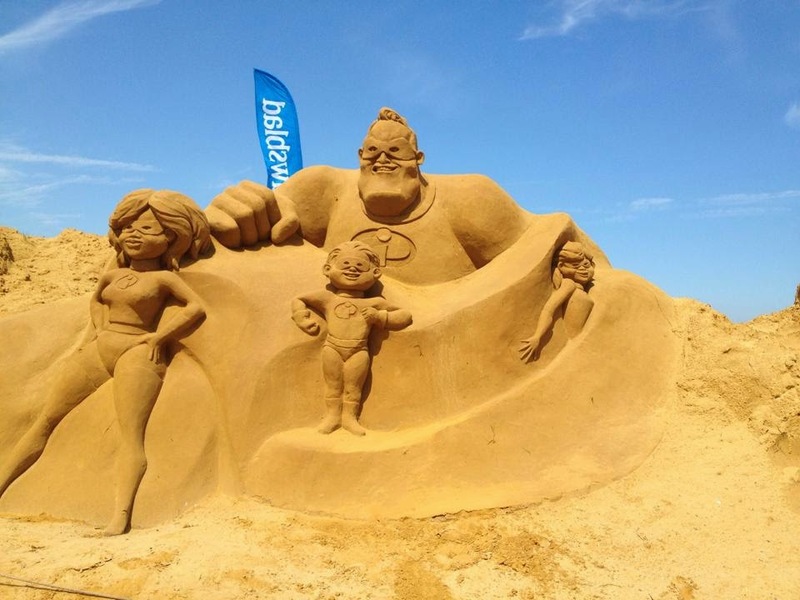 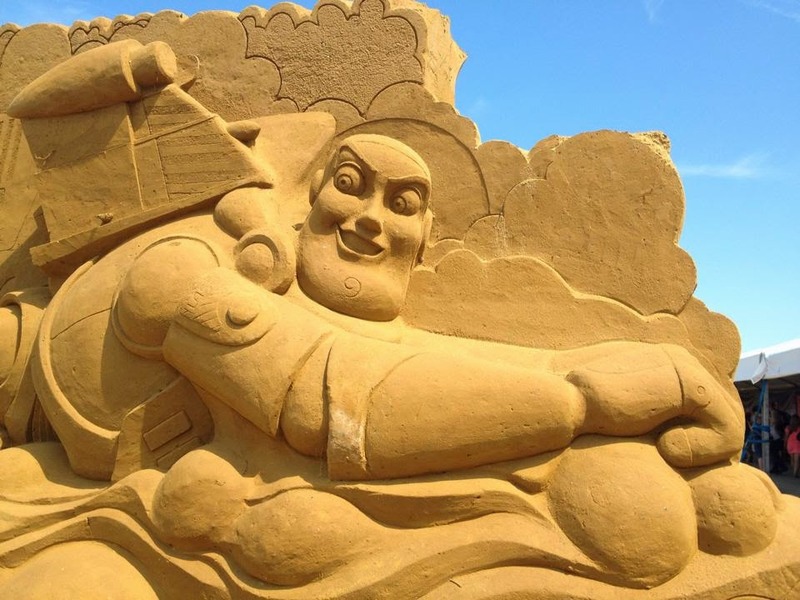 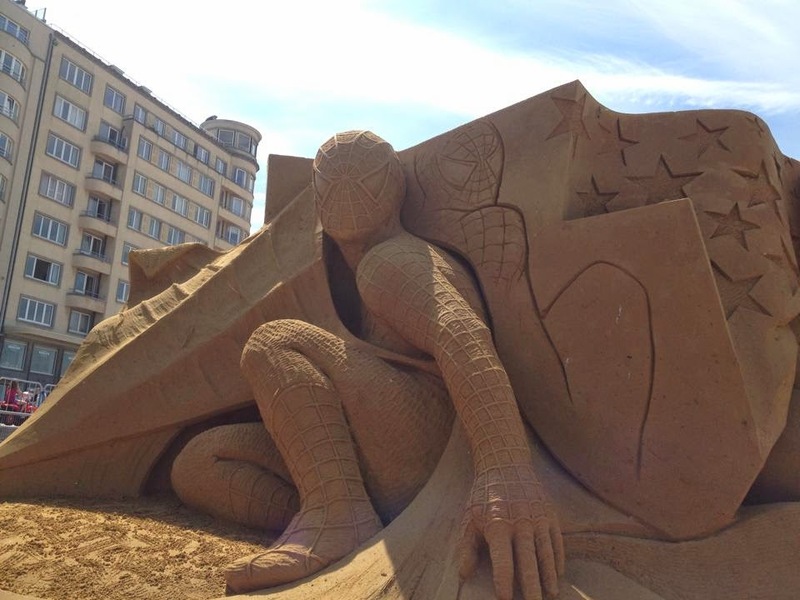 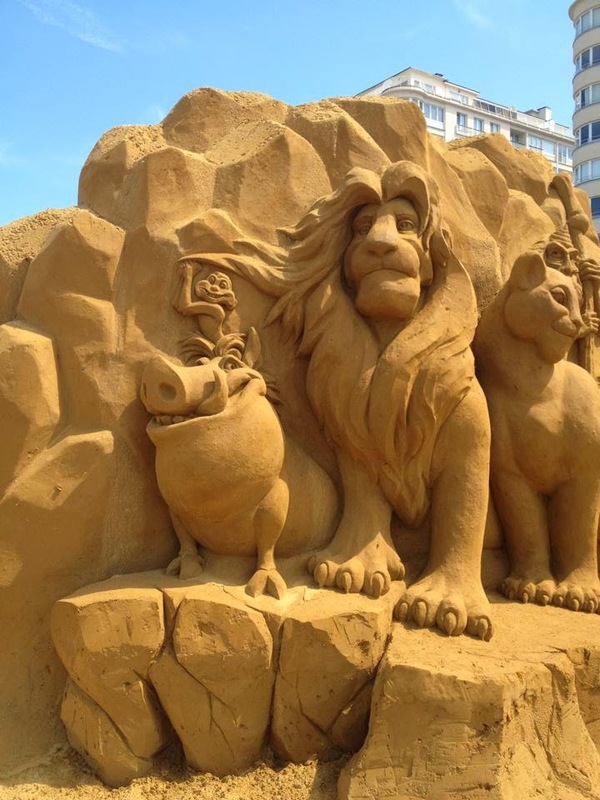 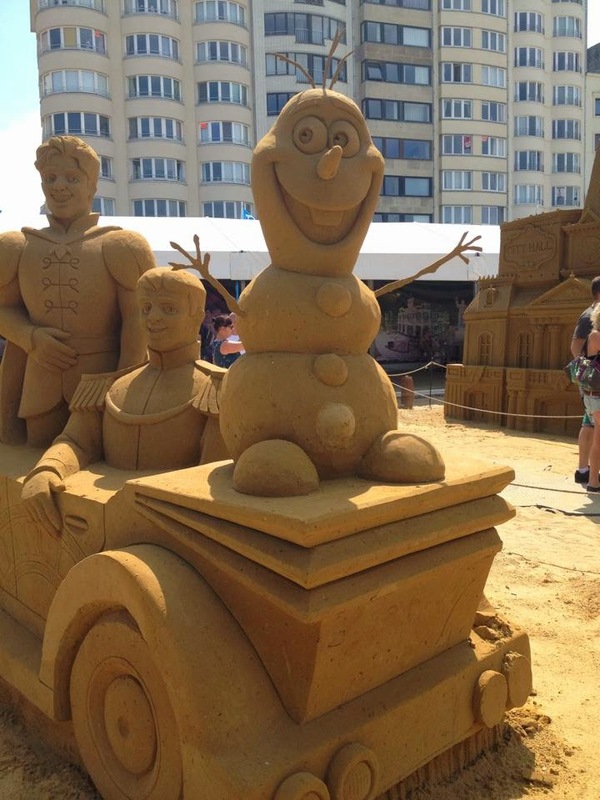 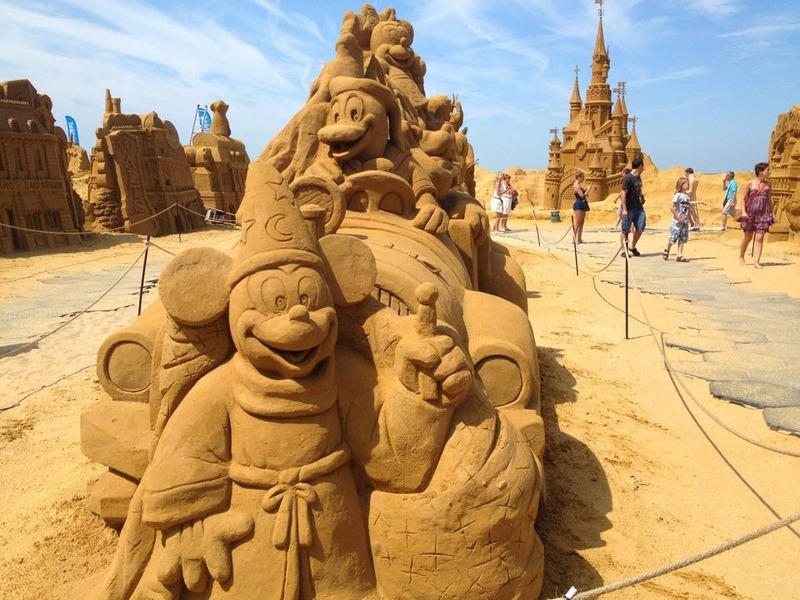 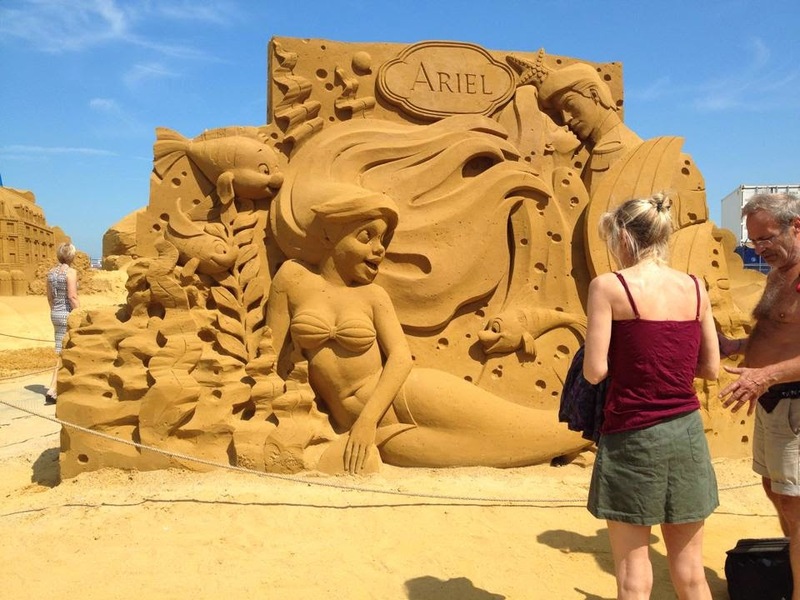 When we walked at the beach we saw there were sand sculptures from Disney and the girlfriend of my brother and myself freaked out! 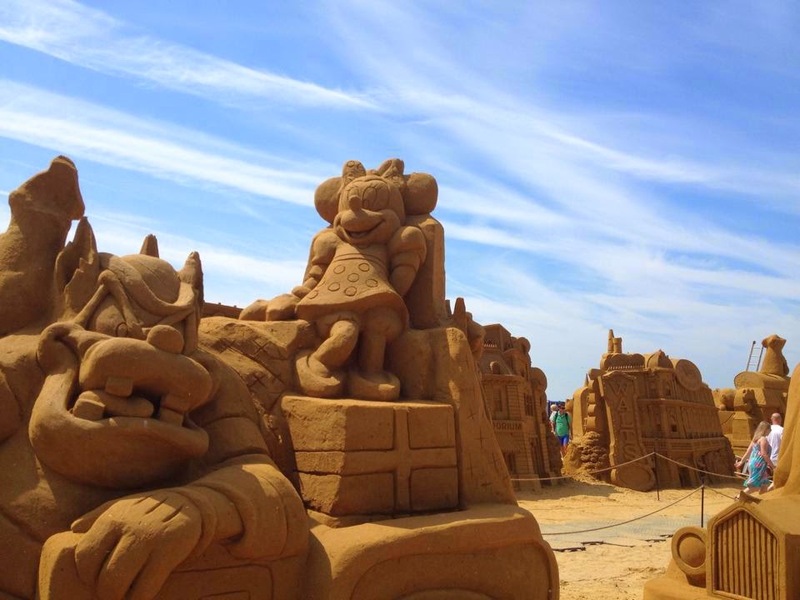 We both love disney soooooo much and we watched the movies all the time when we were young, so we needed to see it! 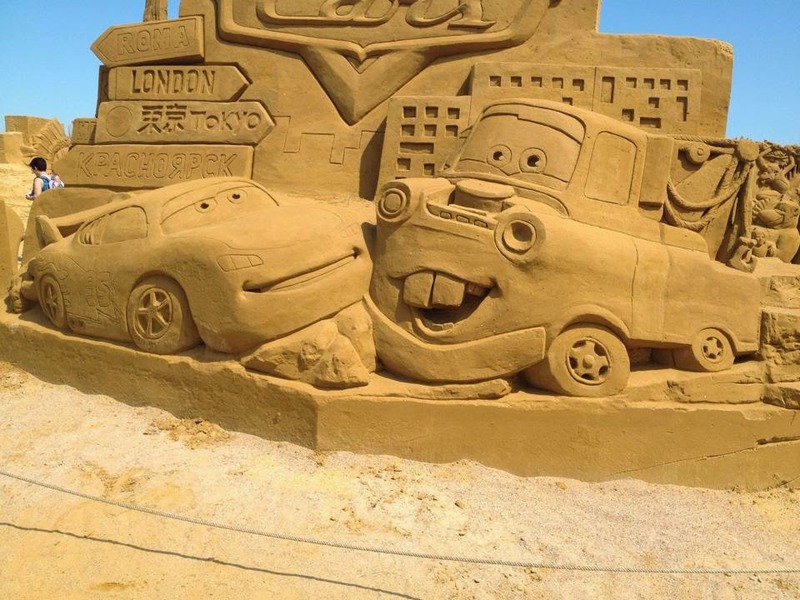 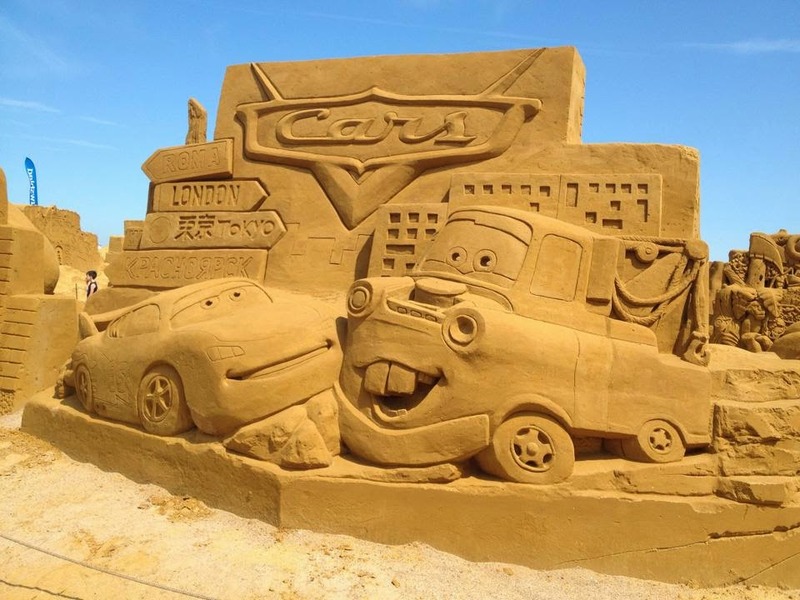 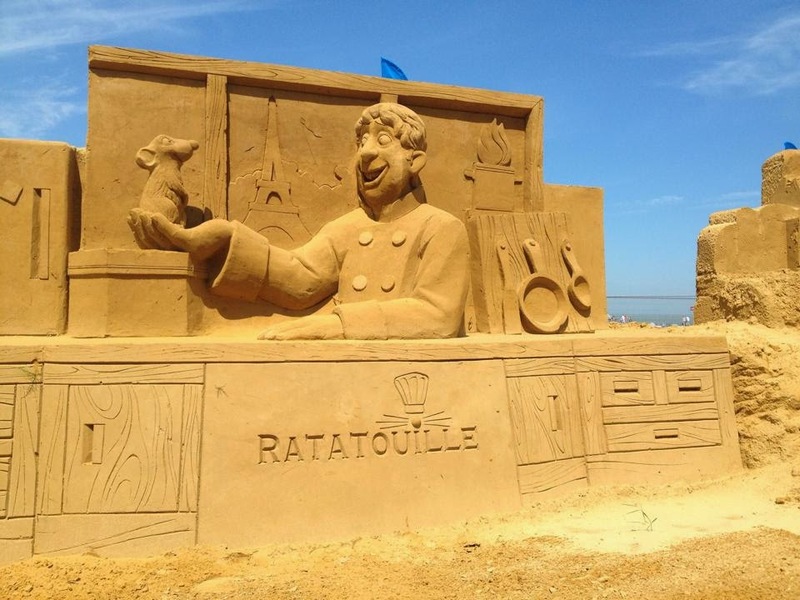 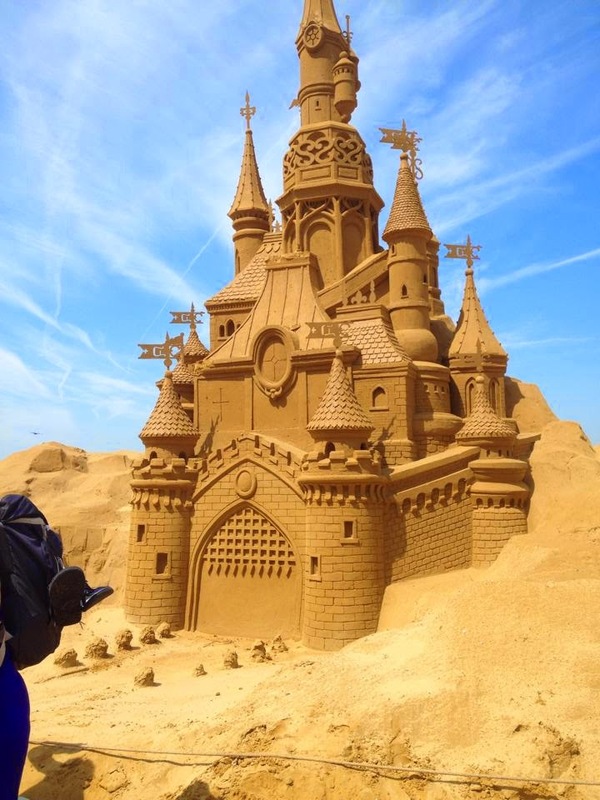 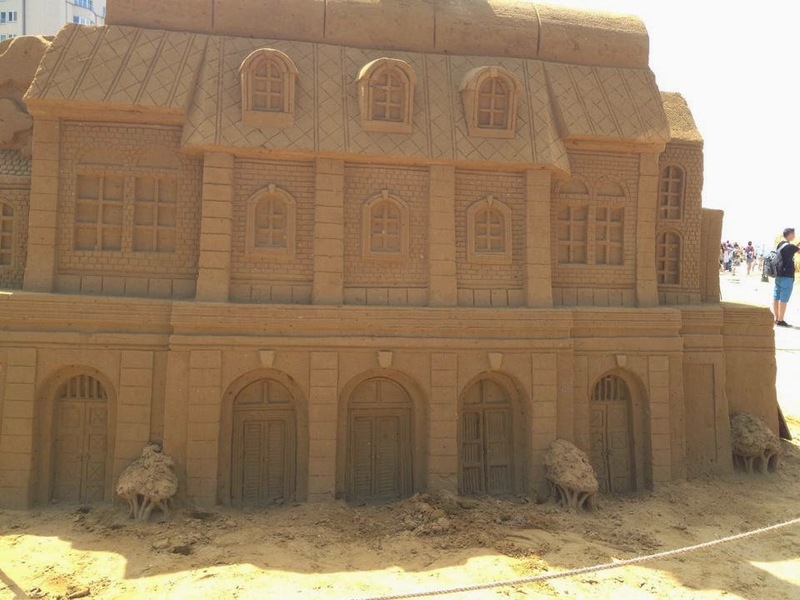 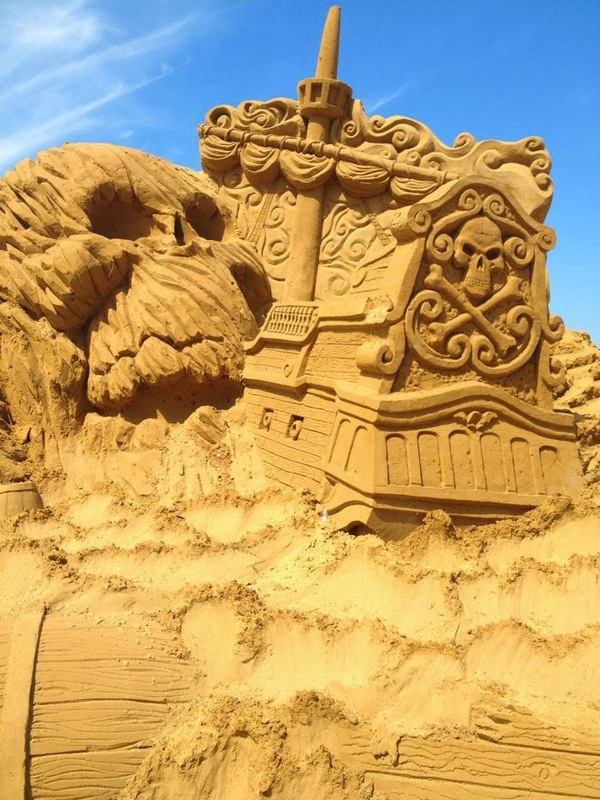 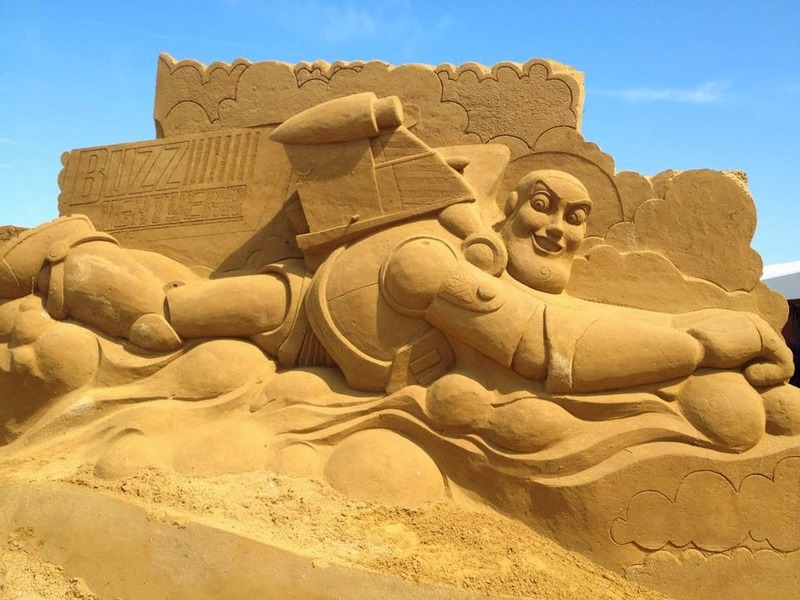 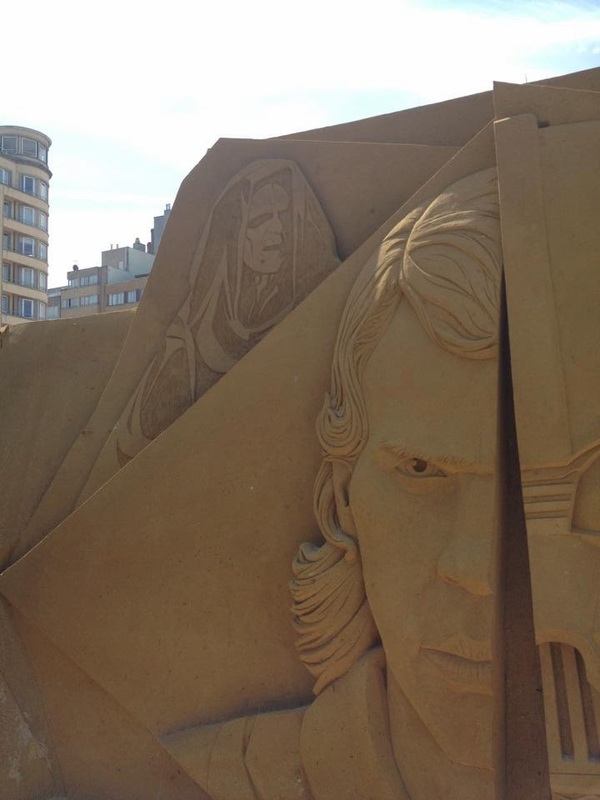 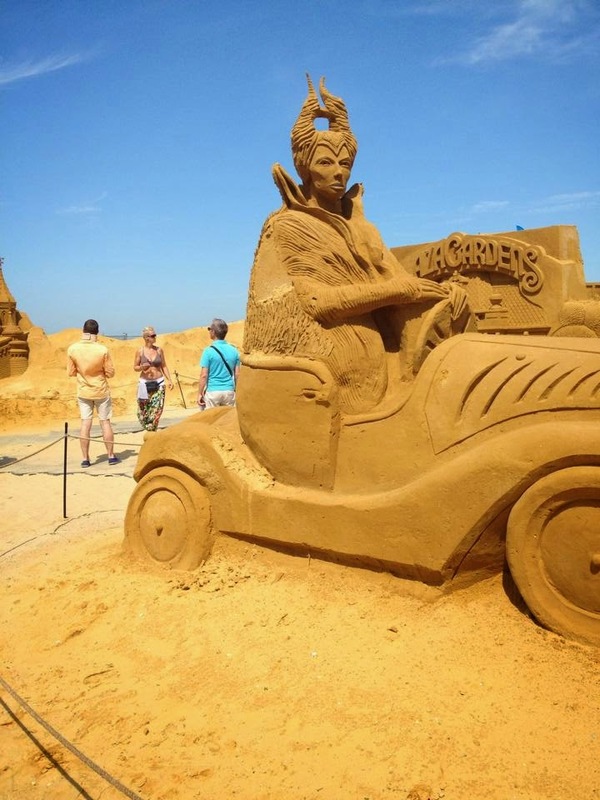 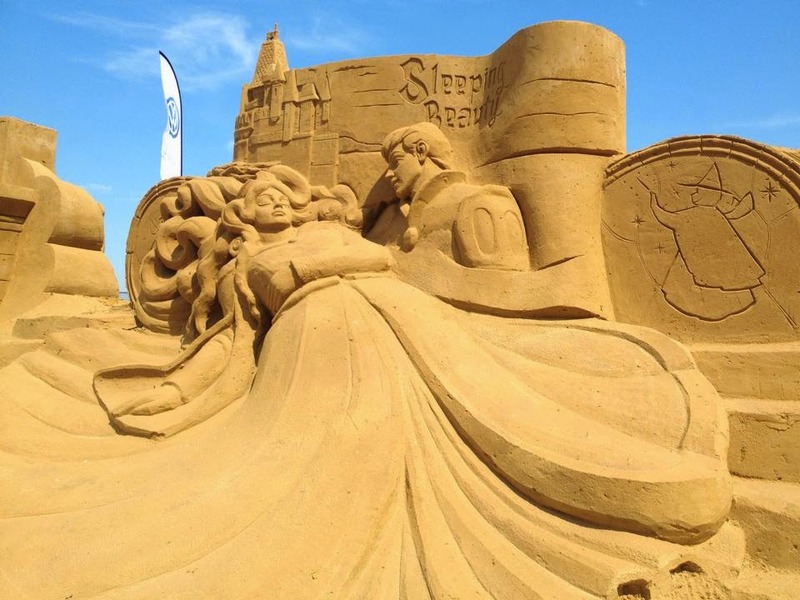 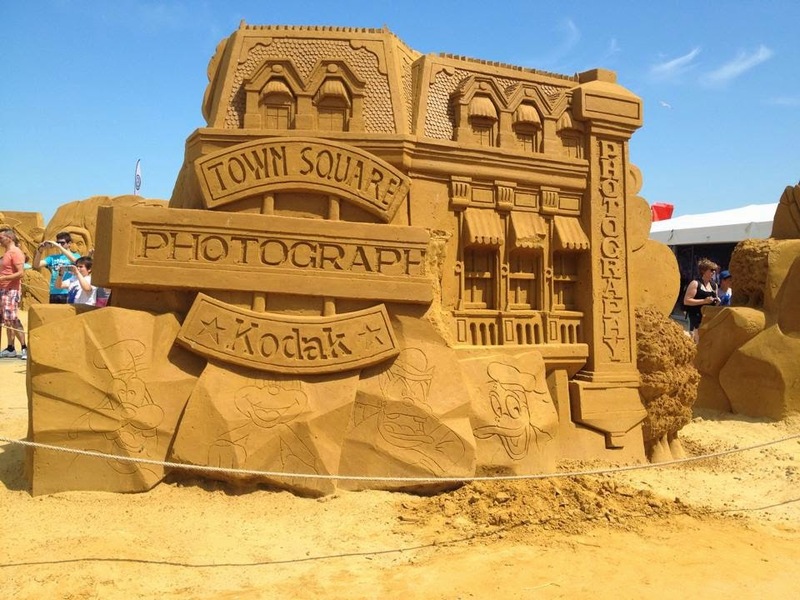 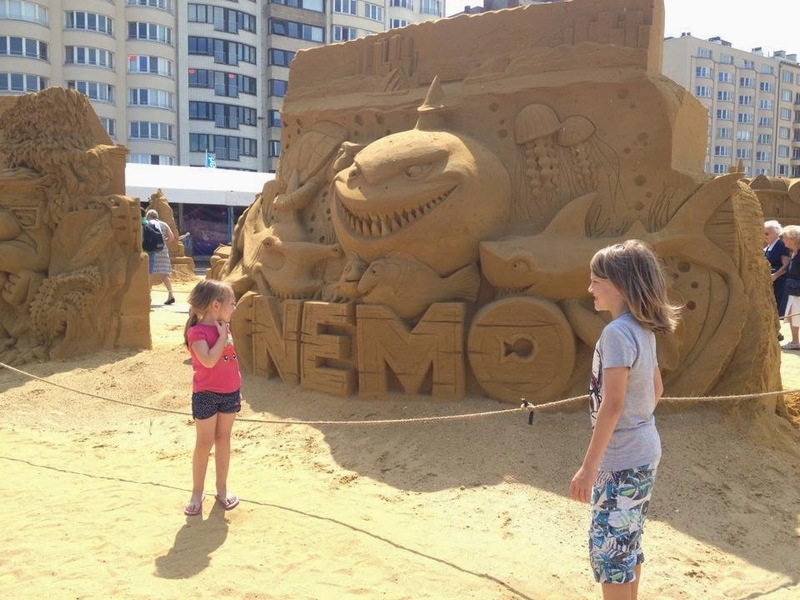 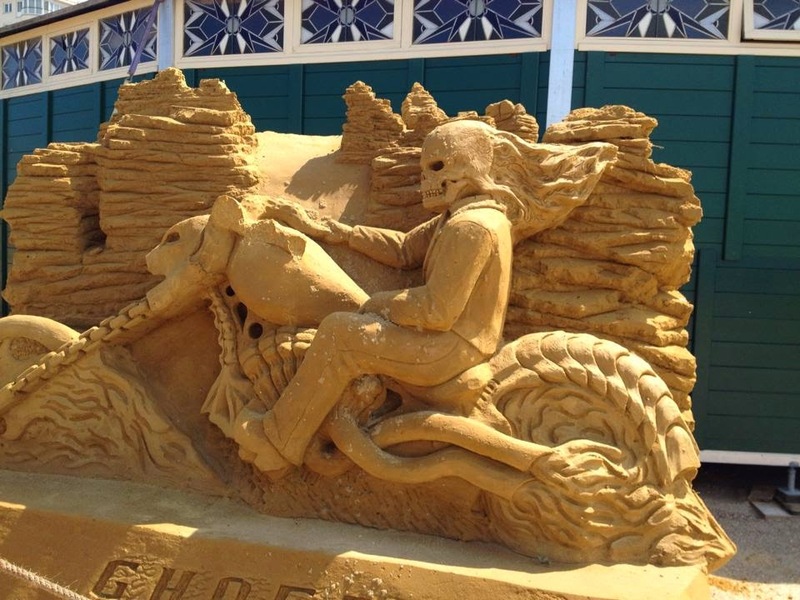 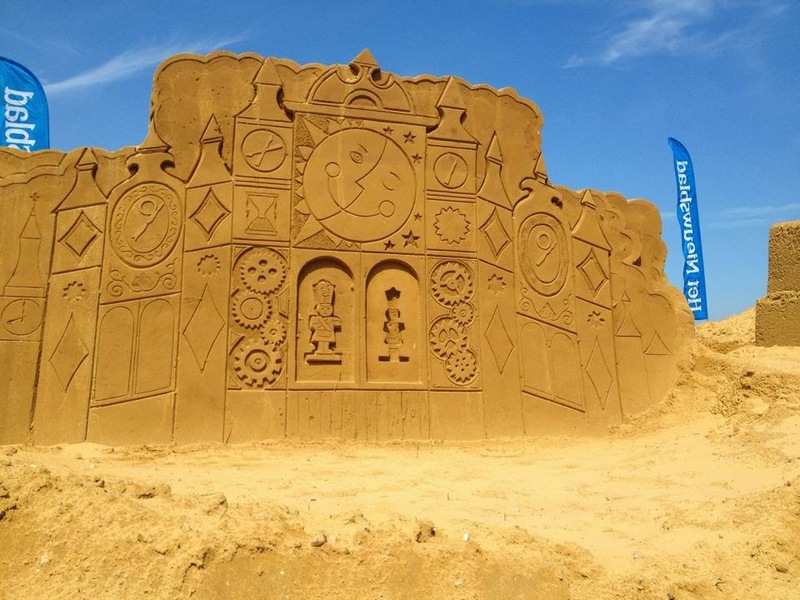 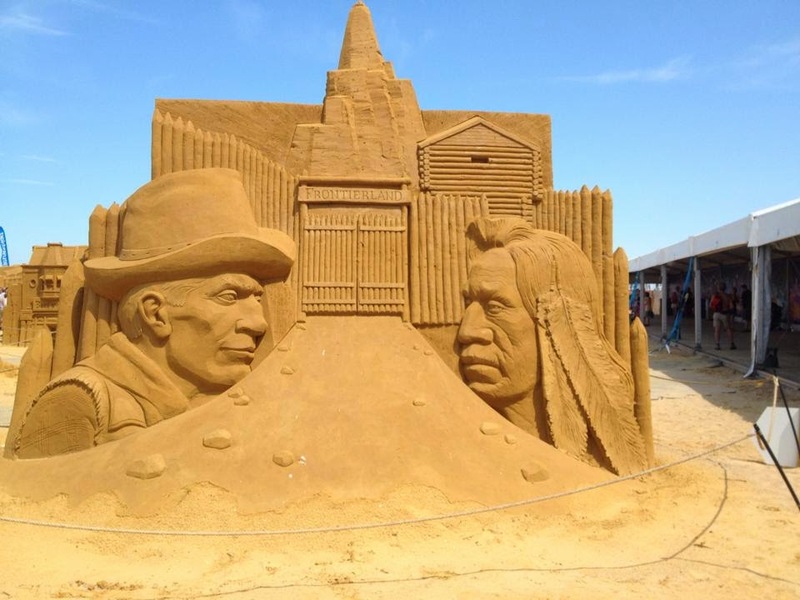 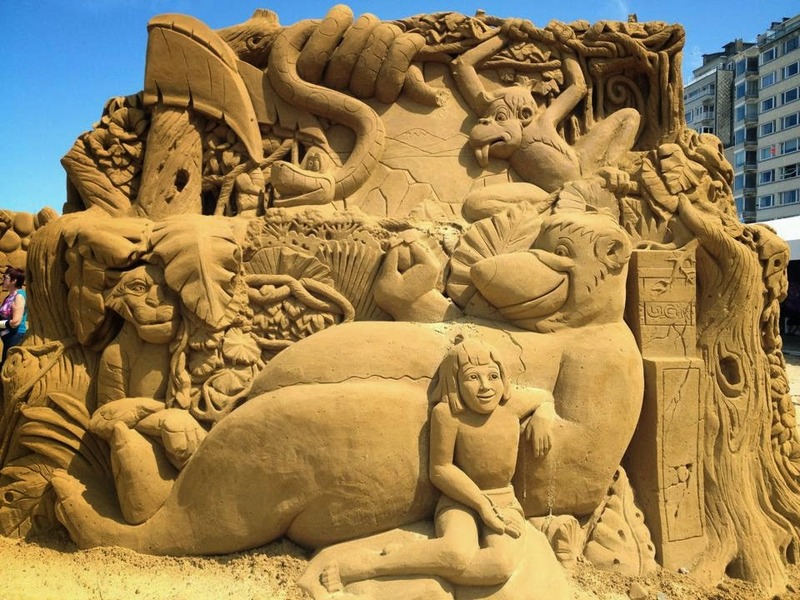 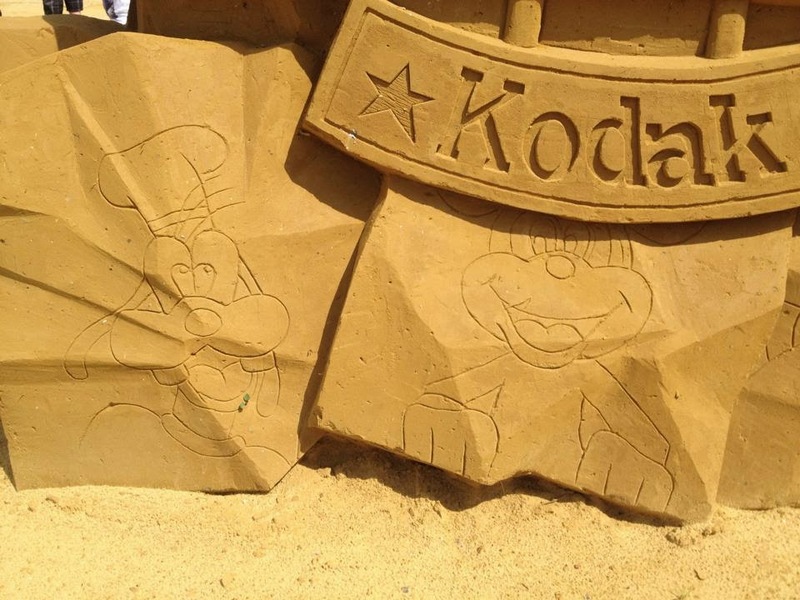 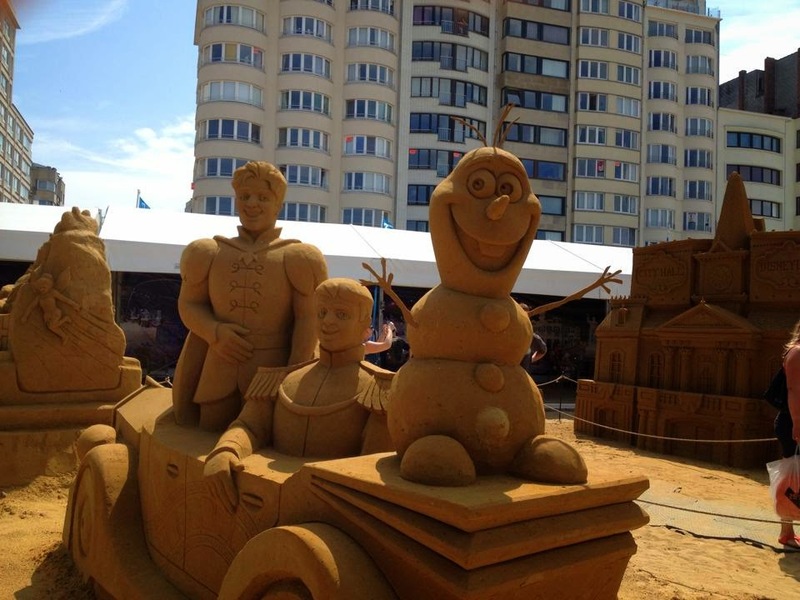 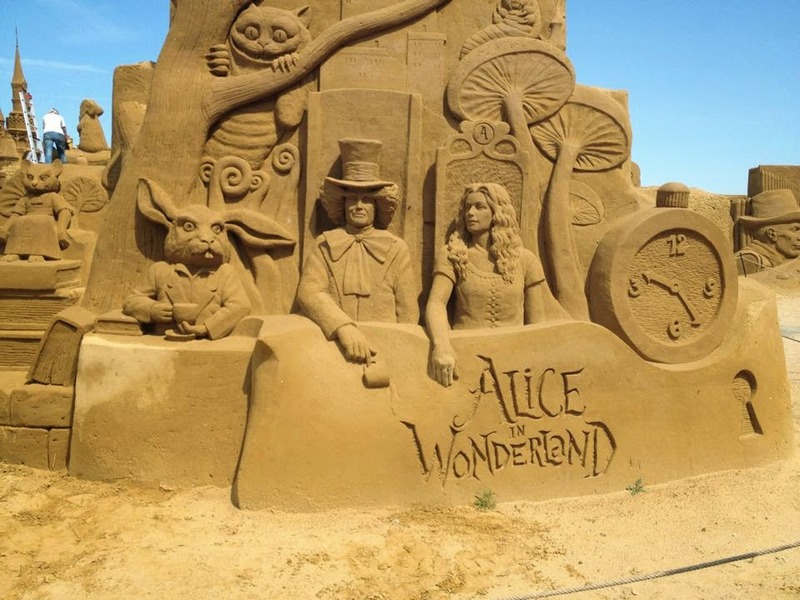 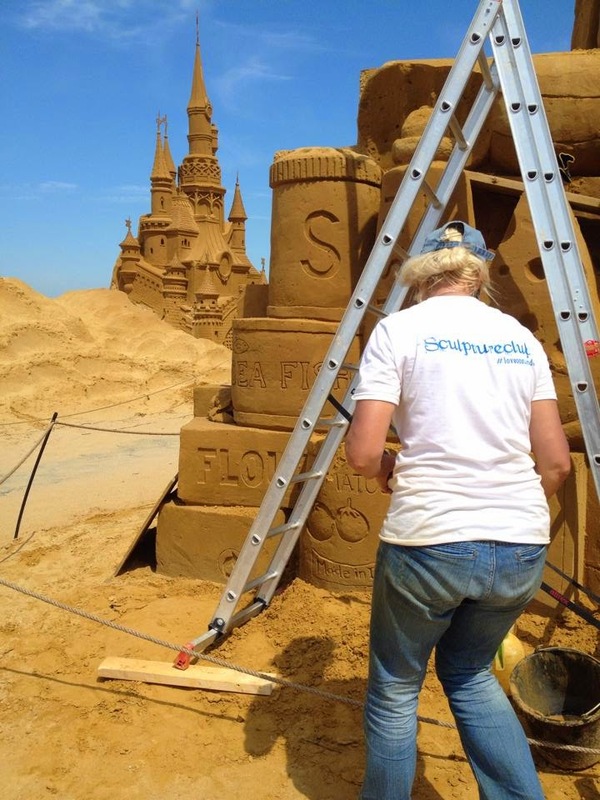 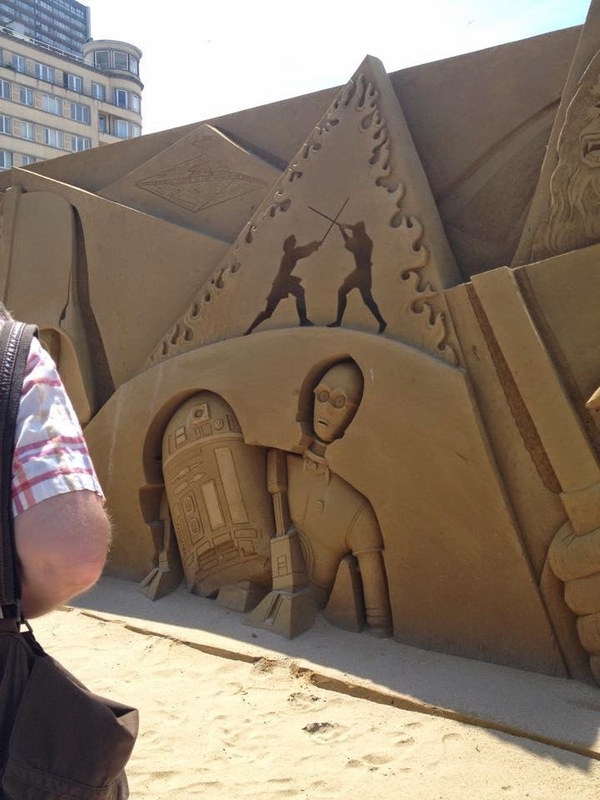 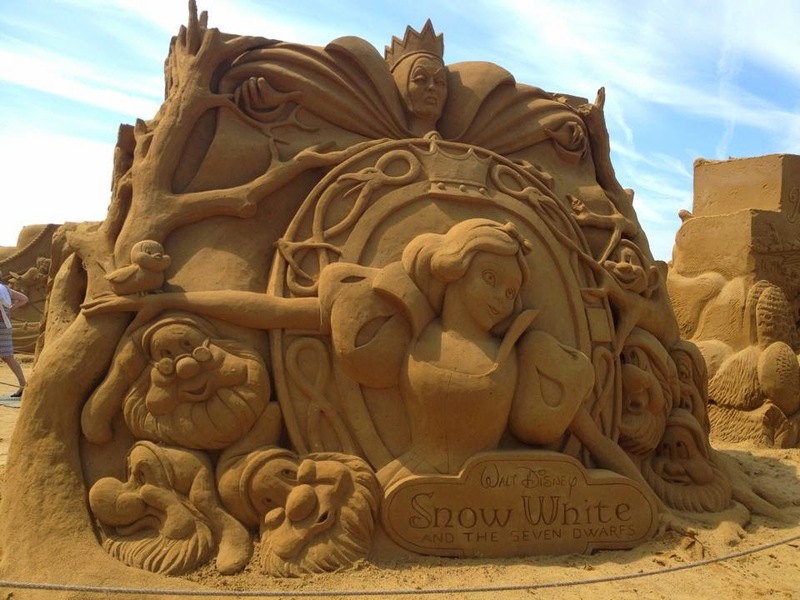 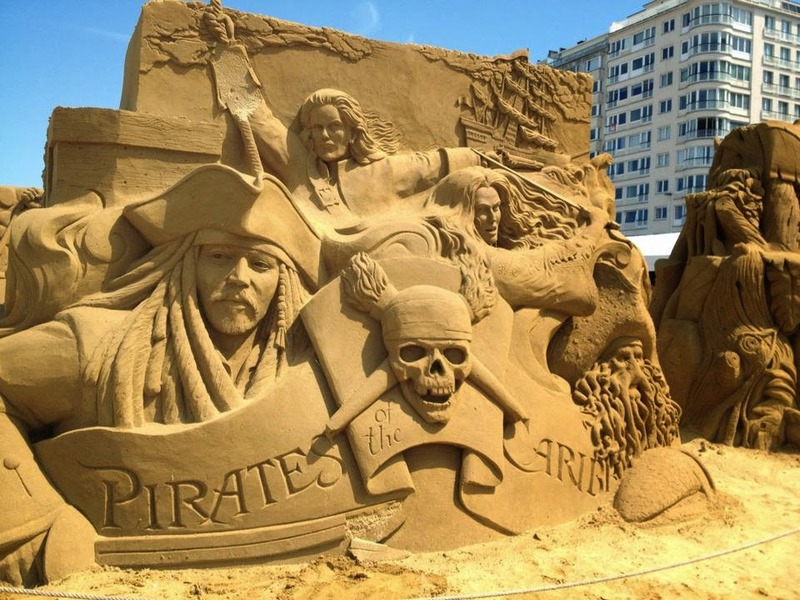 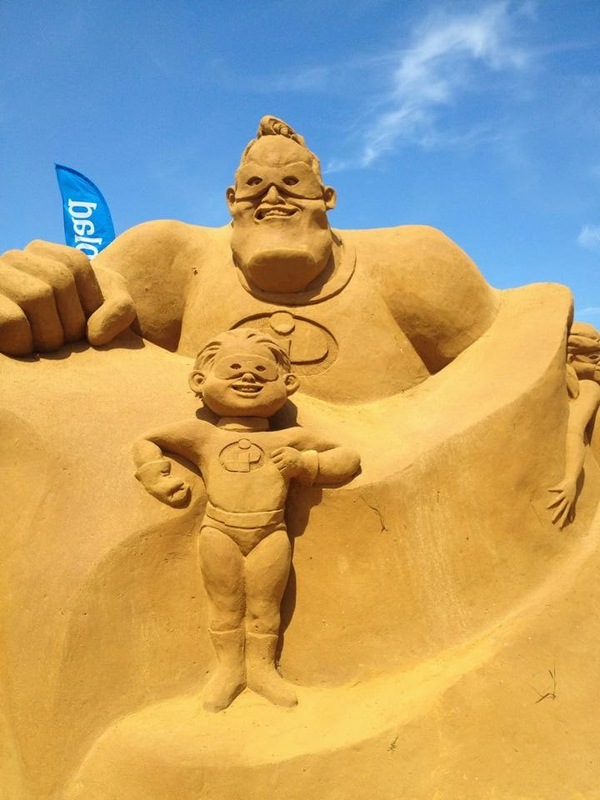 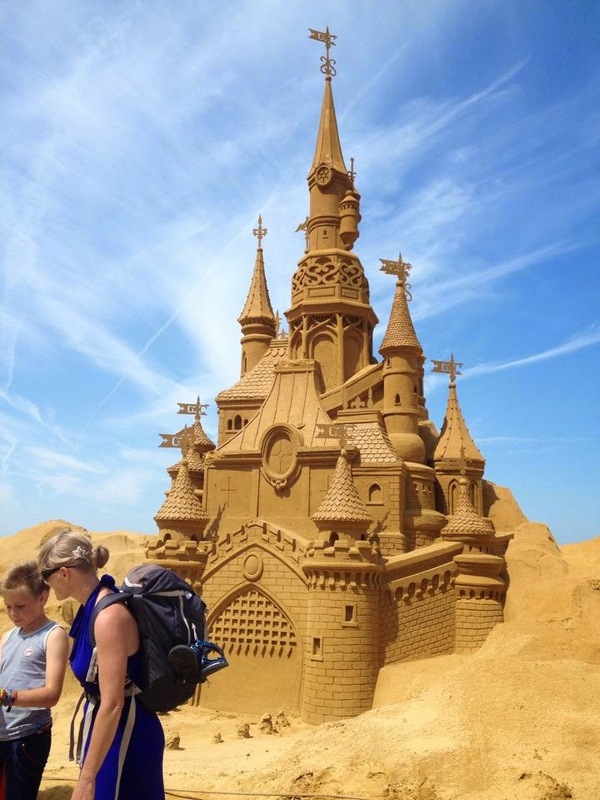 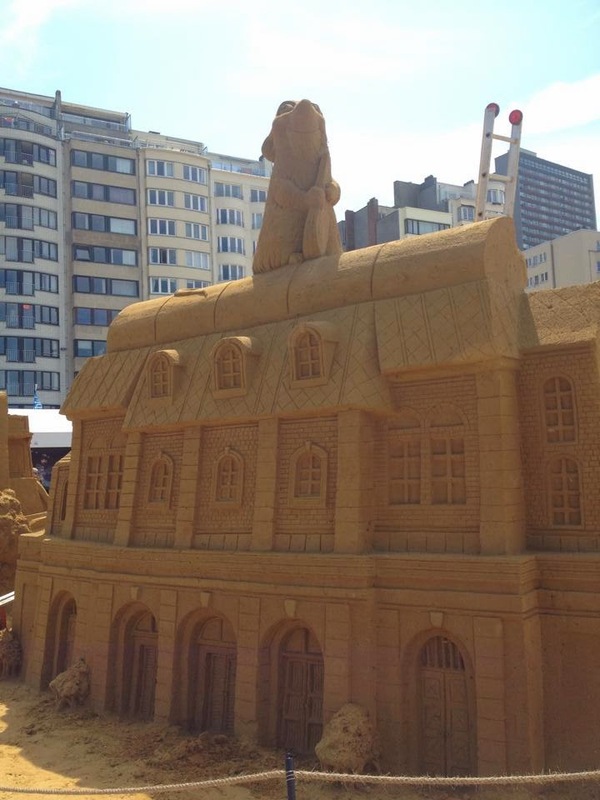 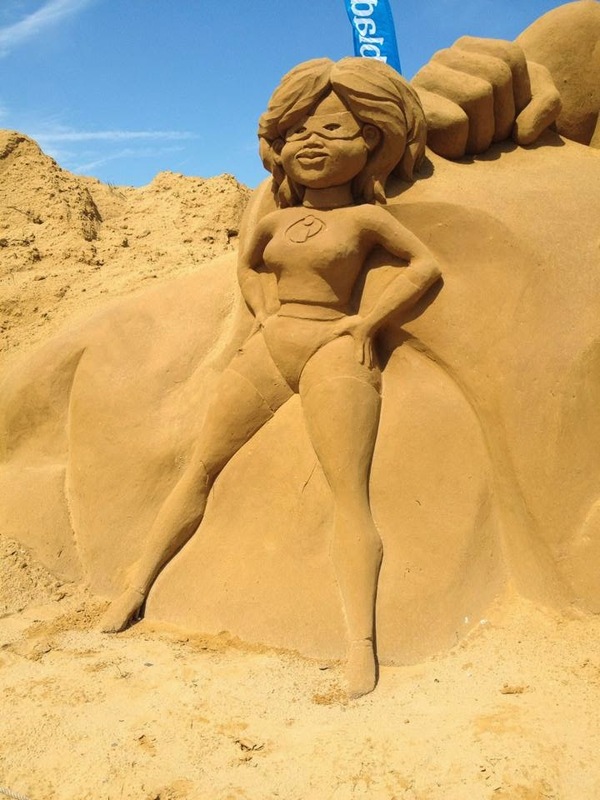 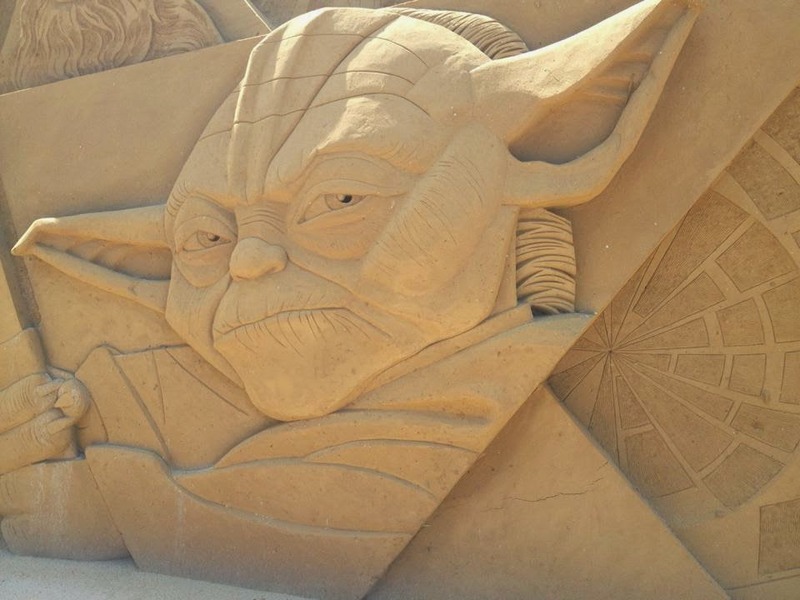 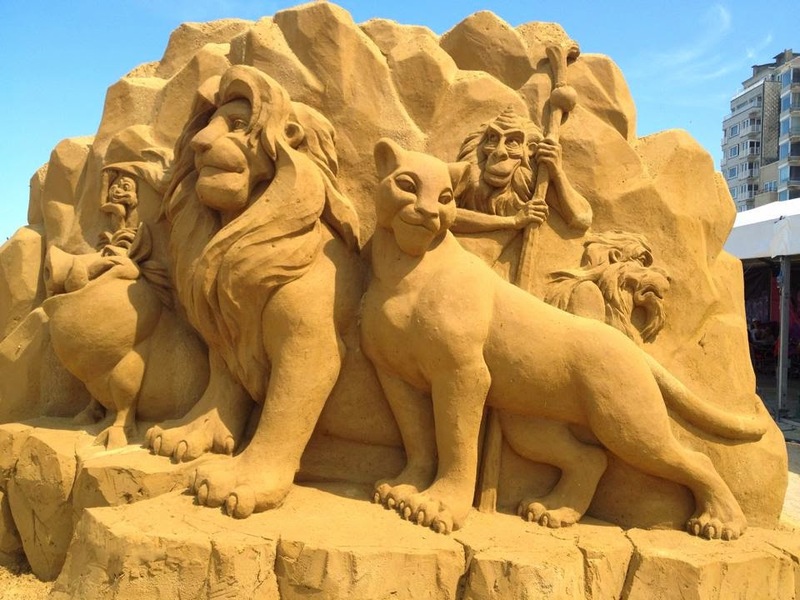 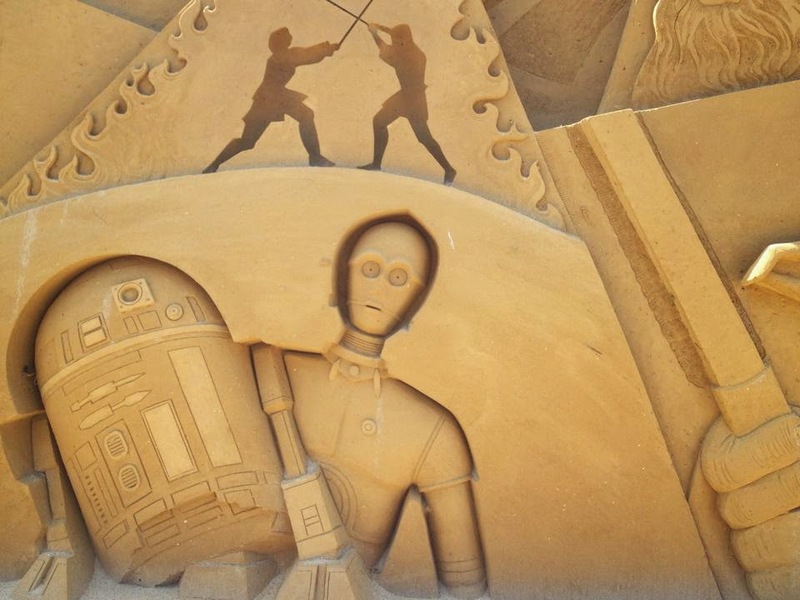 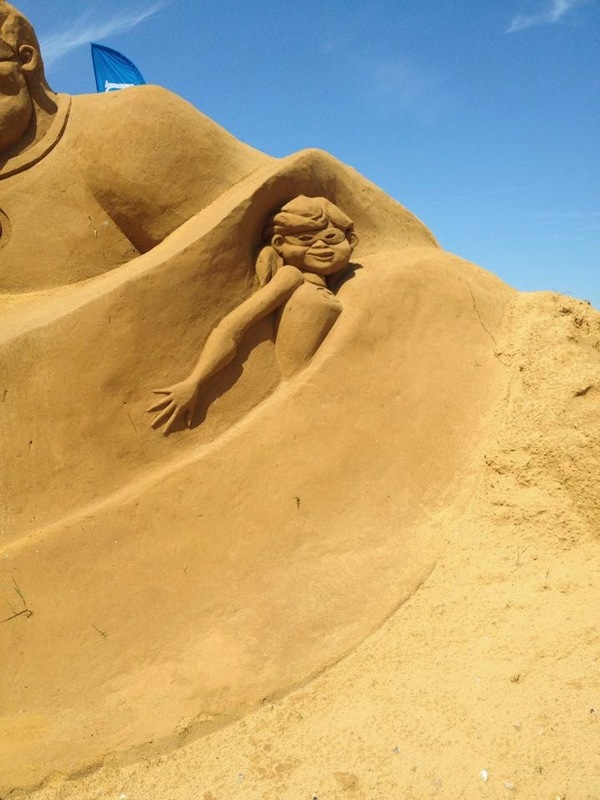 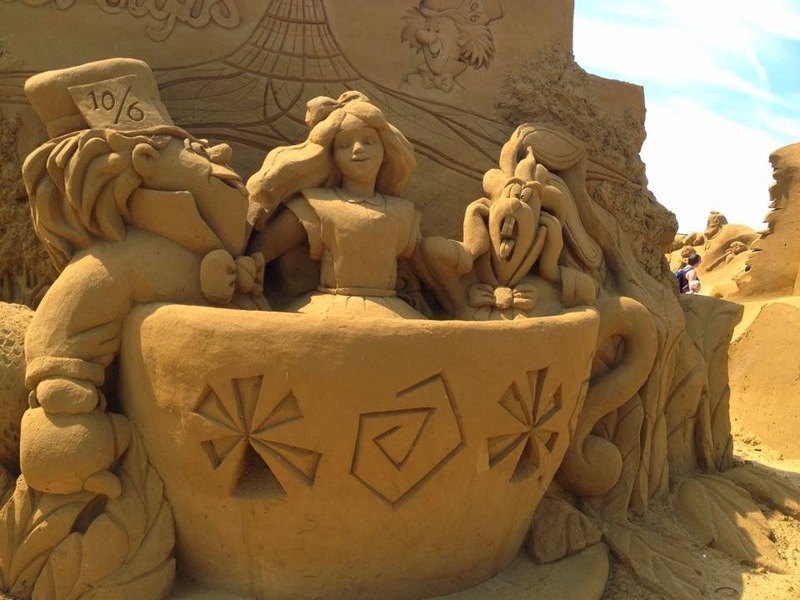 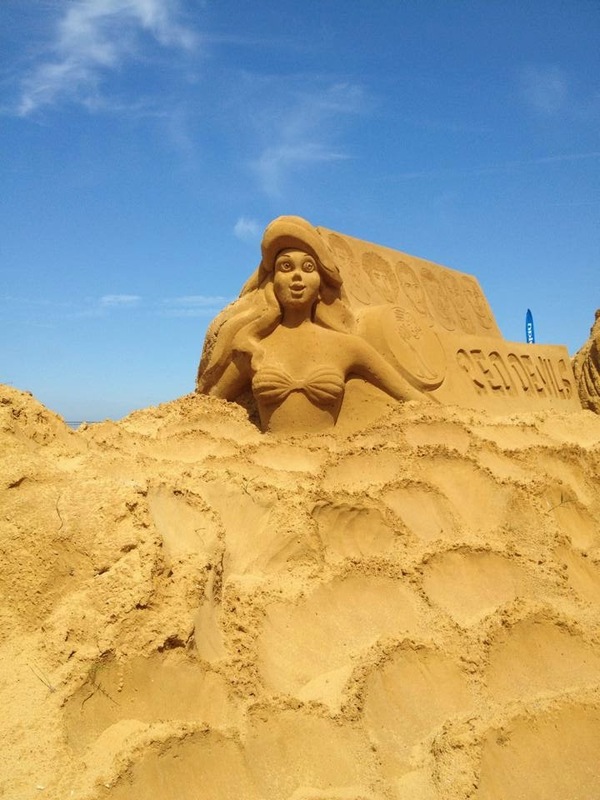 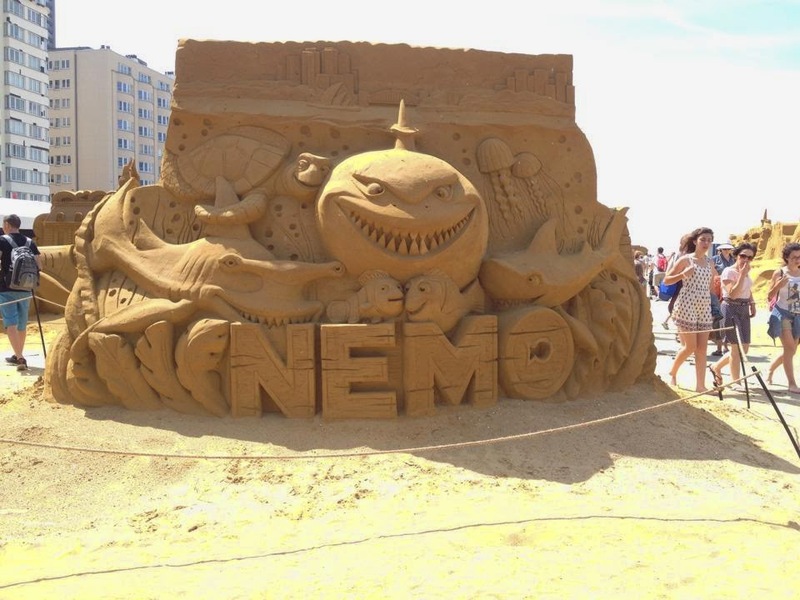 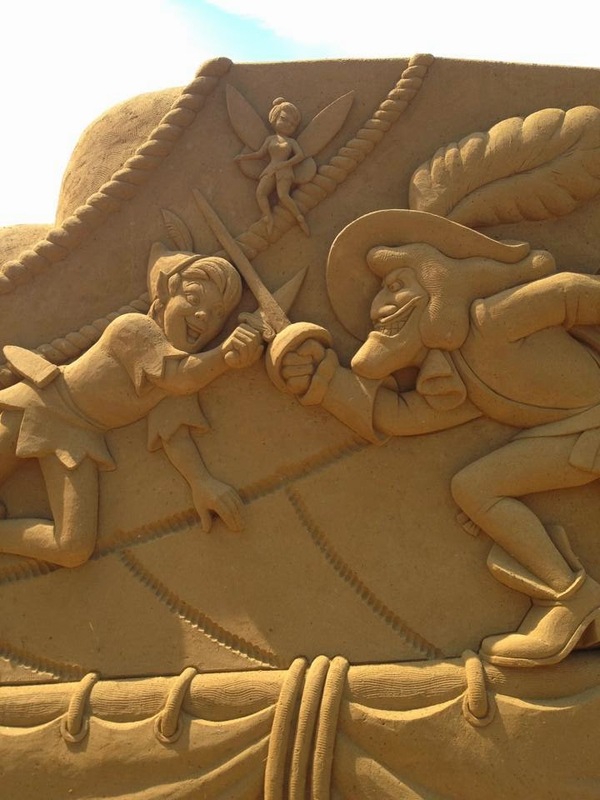 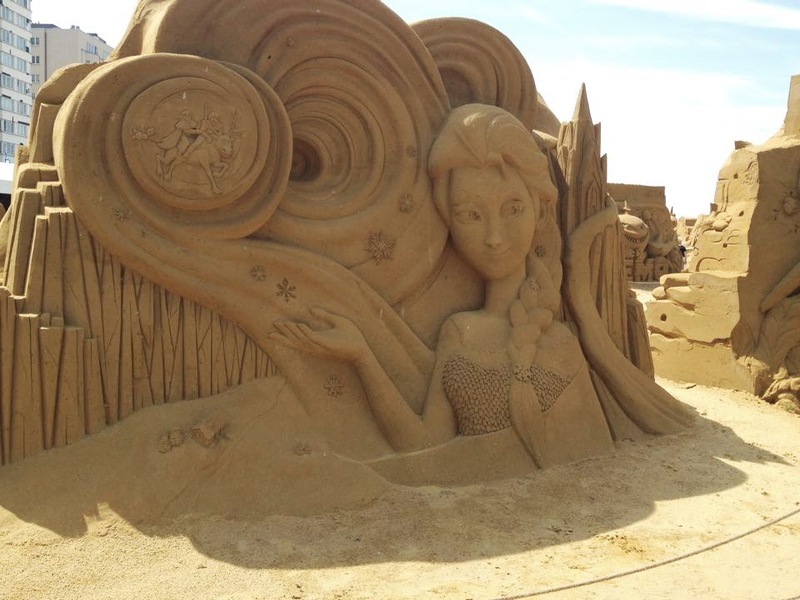 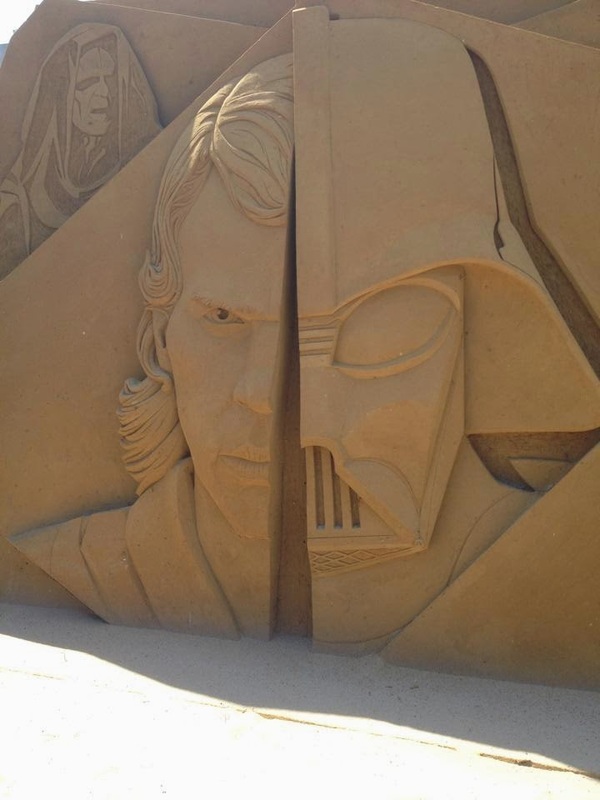 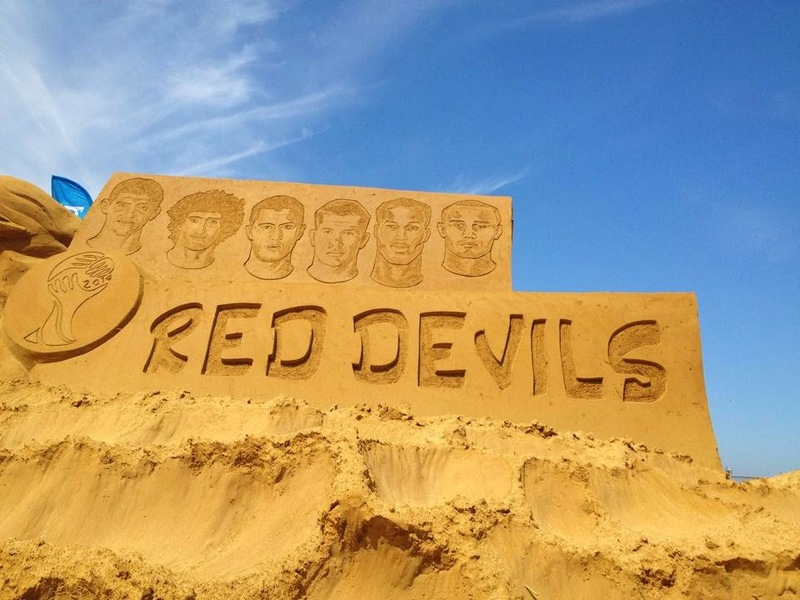 It was really awesome to see how they can do these sort of things with just sand, it's amazing! 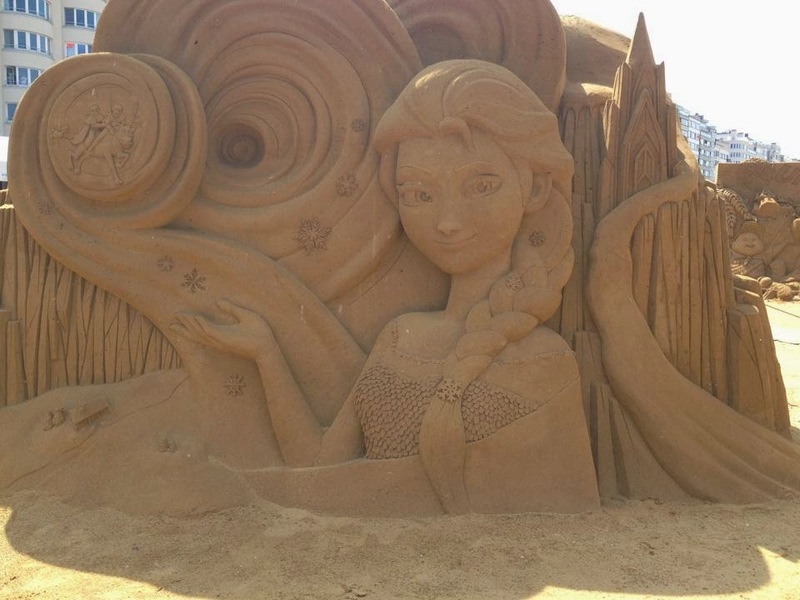 And it's so beautiful, it really looks like the one you see on tv. 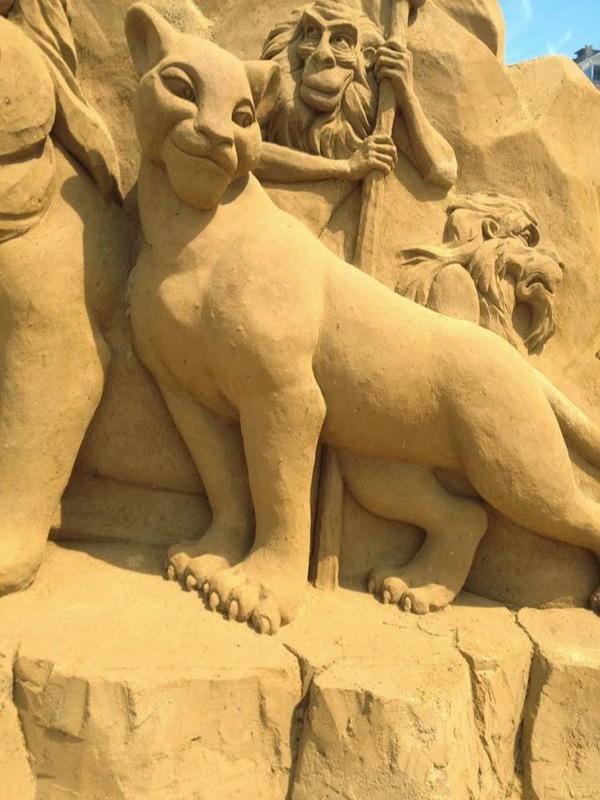 There were less sculptures then I expected but it really was beautiful and it remembered me of my childhood. 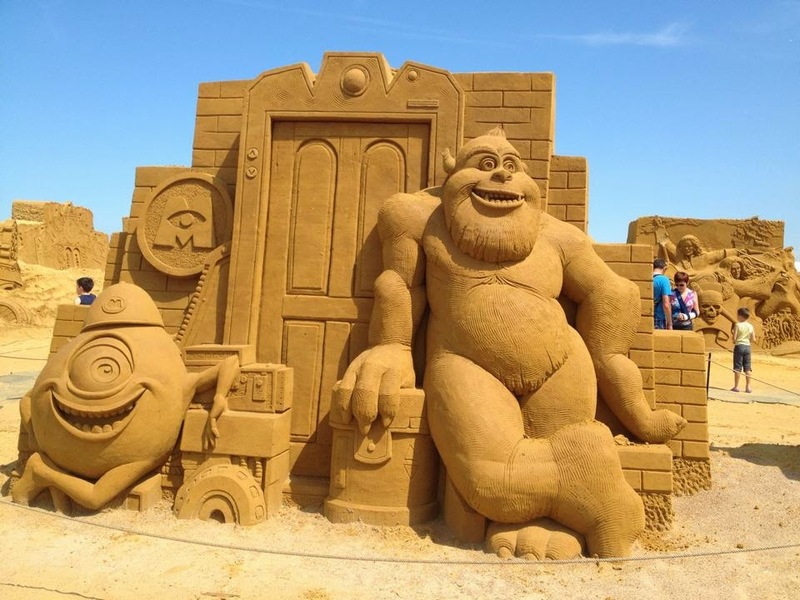 I felt in heaven! 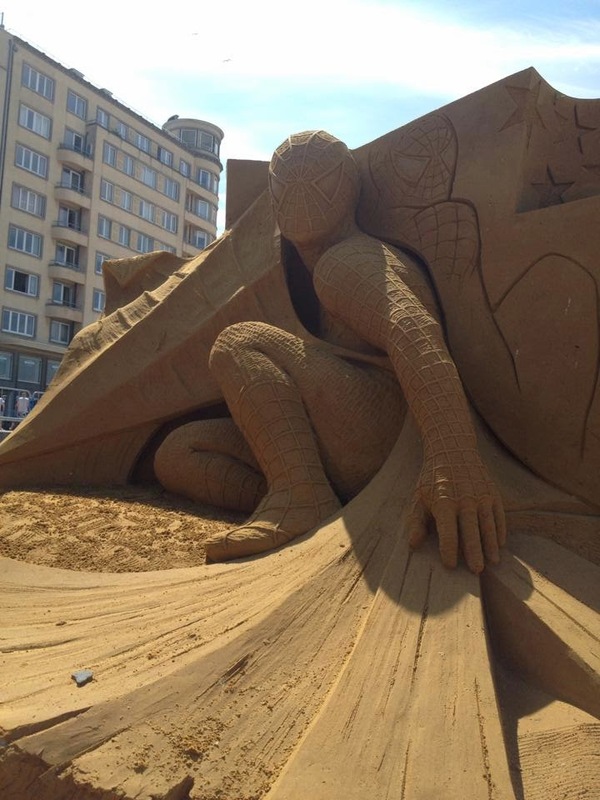 Here are some pictures so you guys can see how amazing it was!